Cancer is a global and rapidly increasing, but not uniform problem. Access, quality of care and efficiency of cancer services are challenges in low- and middle-income countries, where an increasing proportion of burden is occurring. Yet, the health systems of these countries are particularly unprepared and ill-equipped to deal with this growing burden and chronic nature of cancer and other noncommunicable diseases. Investment in the health care systems in these countries is required, but given limited resources, health services researchers and policy-makers must explore how these much-needed investments can be best directed for optimal results. There is a need to implement radical changes in the social/political environment and increase access to primary care that, combined with well-designed and affordable disease control programmes, can improve cancer care and control in developing countries. The lack of information on the economic efficiency of most cancer treatments and many preventive measures is of note in these regions but it is imperative to challenge the assumption that cancer care is impossible or too costly in poor countries. Investment in cancer care and control can improve global health. More than half (56%) of the 11 million new cases and two-thirds (64%) of the approximately eight million deaths from cancer per year occur in low- and middle-income countries (LMICs). This disproportionate burden is due to increasing incidence (population increase, ageing and risk factor exposure associated with poverty, circumstance and “Westernization”) along with reduced premature mortality from infectious, communicable diseases. Despite an increasing majority share of the burden, the proportion of global resources directed to cancer in LMICs is less than 6% (1–13). access to health services and systems and support for treatment and care. LMICs are particularly unprepared and ill-equipped to deal with the growing burden and chronic nature of cancer and NCDs. Notwithstanding, enhancing global cancer control requires that they be able to respond to the increasing burden of cancer and NCDs through universal coverage of health systems and through ways that have relevance to socioeconomic sustainability for both LMICs and HICs. ICCC–5 Session 4 on “Improving integrated approaches to cancer treatment and care” comprised three plenary presentations providing an overview of the subject matter as a means of preparing Congress participants for participating in four, small group, interactive workshops on relevant topics to be addressed in greater depth. Selected abstracts providing particular insights into the topic area were presented orally by the authors in each of the workshops. Workshop leaders were encouraged to conclude their workshops with a brief set of prioritized recommendations to identify the key directions for further development of interventional activities beyond this Congress. Multidisciplinary approach for cancer treatment and care. Improving access to treatment and care. In the last 15 years our understanding of the biology of cancer has increased tremendously and the speed with which we acquire new knowledge about the basic biology of neoplastic diseases is currently increasing even further. Through translational research, some of this knowledge has been transferred into new and more efficacious treatments. Together with intensified preventive efforts and improvements in early detection, these new treatments have contributed to the relative decline of overall cancer mortality, which we are currently witnessing at least in the most developed countries. Even there, however, costs of new treatments have reached a level which is no longer sustainable for most health care systems. On a global scale, the explosion of new cancer cases in low- and middle-income countries (LMICs) (4) has resulted in a rapid increase in the worldwide burden – 11 million new cancer cases and seven million cancer deaths in 2000. If current trends continue, 25–26 million new cancer cases and 13–14 million cancer deaths could occur by 2030. Although we are about to “conquer cancer” from a medical and scientific point of view, the war may be lost on a global scale if we are not able to implement radical changes in the social/political environment (5,15). Some of these changes (summarized in the appeal “Stop Cancer Now”(16)), require implementation on a macroeconomic scale, for example, the development of new business models for the development of new anti-cancer treatments that should substitute current treatments that are no longer acceptable or sustainable. Other required changes will have to concentrate on alternative models of care. However, any possible model of care requires improvements and strengthening of public health care systems, which, alas, have been weakened during the last 20 years in most developing countries. Without such improvements, it will be impossible to tackle the “looming cancer disaster” which has been forecast for the majority of developing countries. Emblematic of the Latin American region, and other low- and middle-income countries (LMICs), Mexico is in the midst of a protracted and polarized epidemiological transition which creates a double burden of infectious and noncommunicable diseases. The cancer transition mirrors the overall epidemiological transition so that LMICs increasingly face both infection-associated cancers, as well as all other cancers. This burgeoning health priority risks overloading resource-strapped health systems if they are not redesigned to respond to the increasingly chronic nature of disease (7,9). Despite the common belief that cancer is a disease of rich people and countries, LMICs bear a disproportionate share of preventable suffering and a majority share of the global burden of cancer – 58% of new cases reported in 2008, with an expected increase to 70% by 2030. Yet, the health systems of these countries are particularly unprepared and ill-equipped to deal with the growing burden and chronic nature of cancer and other noncommunicable diseases. Research done by the Global Task Force on Expanded Access to Cancer Care and Control (http://gtfccc. harvard.edu) has shown that cancer care can be effectively incorporated into universal health insurance packages in ways that benefit and strengthen the entire health system. Expanding cancer care through a diagonal approach and within the context of universal health insurance – using priority disease-specific interventions to drive improvements in the health system – can expand coverage and improve access across diseases and populations (9). Further, our evidence demonstrates that many of the key interventions for prevention as well as treatment are much less costly than is often assumed and that inaction far outweighs the costs of effective action. Specifically, the cost of prevention and treatment for cancer is less than the value of lost productivity, and global savings can be in the hundreds of billions of dollars. Further, the costs of some key interventions for LMICs such as the HPV and HBV vaccines have dropped as a result of introducing global financing platforms. Several LMICs have identified solutions and included cancer care and control in their national health insurance programmes, including Mexico (8), Peru, the Dominican Republic, Colombia, and others. In Mexico through the Seguro Popular, treatment for all cancers in children, breast cancer, and several others are covered. Preliminary results suggest that the inclusion of breast cancer in Seguro Popular has relieved the financial burden and risk for families and expanded access for the most vulnerable. 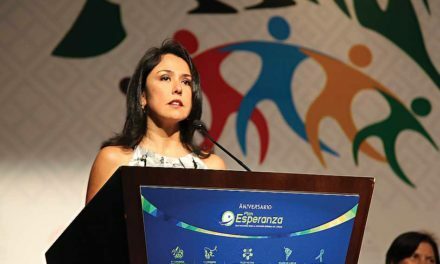 For example, prior to the inclusion of breast cancer in Mexico in 2007, approximately 30% of women diagnosed at the National Institute of Cancer of Mexico abandoned treatment within a year – the majority for lack of financial resources to cover treatment. In 2010, the rate of abandonment was less than 1%, while the number of women being treated increased by 50%. It is imperative to challenge the assumption that cancer care is impossible or too costly in poor countries, just as was successfully done with HIV treatment more than a decade ago, and redesign health systems to respond to the challenge of cancer and other chronic conditions. Not only is cancer control and care not impossible in LMICs, it provides an opportunity for strengthening health systems to respond to the increasing burden of noncommunicable and chronic disease and achieve universal coverage of health systems (7). The overall incidence of cancer in developing countries is half that of the developed world, but it is increasing rapidly. In contrast, the mortality of cancer is already comparable between the developing and developed world and site-specific survival rates in developing countries are often less than one third of those in the developed world. Access to cancer treatments is one of the areas of greatest need in the developing world. Initial chemotherapy regimens are often the most important for determining therapeutic outcome, but in contrast to the developed world, most drugs are paid for privately in developing countries. Burdened with much of the liability for funding cancer care, governments (public) and private health care payers are alarmed by the unprecedented and prohibitive rates at which costs are increasing. For effective treatment, chemotherapy should not be delayed, and evidence-based programmes should be used, even if these require more treatments and more frequent cycles. Therapies emerging today reflect deeper understanding of growth factor binding, signal transduction, transcription, cell cycle control and apoptosis. These targeted therapies, while highly effective and often having favourable side-effect profiles, are prohibitively expensive in most developing countries. Only a few therapeutic programmes are available to offer these new options to the poor. Little is known about other cancer-related outcomes in developing countries, such as toxicity of treatment, quality of life, patient satisfaction, equity and economic efficiency. The lack of information on the economic efficiency of most cancer treatments and many preventive measures is of note, as resources are limited in developing countries and choosing the most cost-effective measures is a very important consideration. Investment in health care systems in developing countries is required. For oncology, this includes developing a sustainable supply of trained oncology professionals, expanding the supply of treatment equipment, improving drug supply, physical infrastructure and organizational infrastructure for cancer control. Given limited resources, health services researchers and policy-makers must explore how these much-needed investments can be best directed for optimal results. This will require cancer-related health services research with broad local and international collaborations in addition to long-term investment from all parties. The need for better health monitoring and evaluation data in developing countries is widely recognized. Targets set by the International Union Against Cancer (UICC) World Cancer Declaration 2008 include improved measurement of the global cancer burden and measurement of the impact of cancer control interventions. Common information sources in developing countries provide information on many disease types. Population-based cancer registries collect information on vital status, occurrence and treatment of different types of cancer and provide the “backbone” needed to perform a wide range of oncology health services research. Population-based information on cancer cases can be linked to other population-based and hospital-based health data sources to provide a rich tapestry of information on structure, process and outcome of cancer prevention, screening, palliation and treatment. There are still many developing countries without a cancer registry of sufficient quality. For instance, the population coverage by cancer registries of sufficient quality for inclusion in the International Agency for Research on Cancer’s (IARC) 2007 report on global cancer incidence was 1% for Africa, 4% for Asia and 4% for South and Central America. This compares to 33% in Europe and 80% in North America. Registry information contributes to locally-relevant cancer system planning. By monitoring changes in needs and capacity for services, the health care system can respond more efficiently and sustainably. Collection of national health data can also be helpful for comparison with other systems and countries; encouraging greater participation of the public and other parties in national and regional advocacy for changes to health policy; enabling effective advocacy for needed resources for national cancer control; and for accountability of parties involved in provision of cancer control to the public and funding agencies. Cancer registry data and health data are crucial for supporting national and regional research structure; for defining cancer research priorities, for instance, focusing research on cancers with the greatest burden of disease in the population or exploring the potential cost-effectiveness of a new cancer treatment or cancer control strategy; for providing an important tool in the local training of individuals in health policy, graduate level epidemiology and health services research, and for a rational process to help identify opportunities for knowledge translation and policy. Finally, health data permits the audit of patient safety, quality control and outcome assessment of cancer control programmes. This includes trending changes in cancer incidence or survival over time and following geographic variations in incidence of a given cancer. Health data can help assess effectiveness, access to care, equitability of structure, process and outcome, sustainability and economic efficiency. With limited resources, achieving the greatest health benefit with available resources is an important outcome of health systems. The vast majority of economic analyses for cancer treatment, palliation, screening and early detection are from developed countries. Though there are clearly many cost-effective interventions that oncologists use in developed countries, their cost-effectiveness in specific resource-limited settings is usually not known. The presentation was an example from Cuba describing the experience of planning and implementing cancer care services using data from the cancer registry and national treatment guidelines. Knowledge about cancer has grown considerably in recent years, and, along with improvements in technology, has allowed for the development of better treatments. In developed countries, these advances have been applied in a coordinated way to cure, ameliorate symptoms or alleviate the burden for cancer patients. However, in low- and middle-income countries, these improvements have not been achieved for several reasons: lack of political commitment, lack of money and lack of a more or less homogeneous social structure. All of these reasons make it difficult for these countries to adequately address the volume of cancer patients that are expected in the coming years, unless specific activities to mitigate this potential public health disaster are developed. Collaboration between Ghana and the International Atomic Energy Agency’s (IAEA) Programme of Action for Cancer Therapy (PACT) began with the 2005 imPACT mission. The IAEA provided technical input to the Ministry of Health for a comprehensive proposal entitled “Building Comprehensive Cancer Control Capabilities in Ghana”. Ghana was designated a PACT Model Demonstration Site in September 2009. By 2011, Ghana had achieved the following in cancer control: a National Cancer Control Steering Committee was formed through which the National Strategy for Cancer Control in Ghana 2012–2016 was developed. Working groups of the Steering Committee are currently implementing priority actions of the national cancer control plan. Ghana secured loans for more than US$ 13 million dollars for civil works, equipping and training radiotherapy and nuclear medicine services at the two teaching hospitals in Ghana and also for public health activities such as cancer prevention, early detection and palliative care activities. This illustrates that Ghana can obtain funding for cancer control. The two comprehensive cancer centres, Korle-Bu Teaching Hospital in Accra and the Komfo Anokye Teaching Hospital in Kumasi have approved upgrading plans based on the long-term loan. Ghana has also become one of the four pilot countries, along with Uganda, Tanzania and Zambia, selected for the Virtual University and Regional Training Network for Cancer Control (VUCCnet) project. The VUCCnet project is designed to improve the African regional capacity to deliver quality cancer control education and training using existing infrastructure, expertise and appropriate e-learning technology. Screening is offered for major cancers but the coverage is limited. The two national cancer centres in the country offer comprehensive cancer services including radiotherapy. A large proportion of cancer cases in Ghana still present with late-stage disease and are eligible for palliative care. Unfortunately, palliative care services are limited. Multidisciplinary teams (MDTs) are considered the best approach to organizing care in a way that brings together all the medical specialists involved in cancer diagnosis and treatment. This has led to many cancer plans incorporating MDTs. The aim of this study was to assess the evidence supporting the impact of MDTs on physician practice patterns and patient outcomes in cancer care. A systematic review of the literature was conducted. Fifty-one papers were extracted from the literature published from November 2005 to December 2012. Fifty-one papers were included, 29 focused on patient management and MDT and 22 on evaluating organizational components. MDTs have been shown to improve clinical and process outcomes in cancer-patient management, even though evidence of a causal relationship between this type of intervention and outcomes is still limited. A wide variation in the types of tumours studied has been reported (breast with nine and colorectal, head and neck and prostate with six were the most frequently analysed), along with the fact that the scope of the MDTs’ work extends to the entire process of care. Different formats of MDT organization were found, such as meetings, clinics and online conferences. These organizational patterns are nonetheless driven by the need to align the clinical dimension (effective access to multimodal treatments and palliative care) with the patient-management dimension (MDTs’ working roles and consistent communication between patient and team). More research should be done in the population-based assessment of the impact of MDT on the outcomes of cancer care. Adolescents are neither children nor adults. They have specific psychosocial characteristics. Before 1994, at the National Cancer Institute of Peru (INEN), adolescent patients were hospitalized with either children or adults, but due to a lack of adaptation and motivation, an exclusive service was established. To provide high-quality, multidisciplinary, comprehensive, integrated care, focusing on psychosocial aspects of adolescents through interventions that facilitate adherence to treatment and ensuring a better quality of life and survival. The Adolescent Unit responds to the heath requirements of teenagers. In 1994, INEN with the Minister of Economy obtained international cooperation for the creation of the Teen Assistance Program in Extreme Poverty. INEN became one of the few public institutions worldwide with an exclusive service, whose goal is directed to the disease and to the challenges of development for teenagers with cancer. Patients receive specialized care with different medical departments integrated within the multidisciplinary team. With a focus on poor teenagers and family disintegration, efforts are directed to the patient and family using internal and external networks. Nurses monitor the compliance with the different components and provide opportunities for continuing education, leisure and motivational activities that allow teens to to be optimistic in an environment offering security, affection and tranquility during treatment and promoting self-care during hospitalization and after discharge at home. Adolescents have a specific area for treatment, receiving health care from a multidisciplinary team of physicians, nurse practitioners, social workers and psychologists. This Unit has 39 custom-designed beds for patients 14–23 years old. The INEN Adolescent Unit has provided specialized integrated health care for adolescents with outstanding results. Ensuring access to different treatments; creating multidisciplinary groups of health care providers, but allowing enough flexibility in their performance to make it cost-effective; prioritizing pathologies by incidence, including palliative care and improving access to opioids for pain control; rationalizing the use of different resources; and taking into account the sociocultural characteristics of each locality in decision-making and prioritization. Building capacity for population and health personnel. Strengthening data collection and favouring the formation of records for planning and resource allocation. Mobilizing society to reduce the impact of the burden of this illness. It is projected that by 2030 the developing world will account for 70% of new cancer diagnoses and already almost two thirds of the world’s annual cancer deaths occur in low- and middle-income countries (17). The majority of cases in the developing world will present with advanced disease and palliative care is vitally important for these patients and their caregivers, including access to opioids for pain relief. Cleary et al recently reported that in most of Latin America and the Caribbean, opioids availability continues to be low (18). The recent WHO Global Monitoring Framework includes morphine consumption per death from cancer as a palliative care indicator, which is a major step forward in ensuring one key component of adequate palliative care is measured, however other indicators are also necessary. Significant gaps remain at all levels of the health care system worldwide. This workshop highlighted key themes in the development of adult and paediatric palliative care internationally, and particularly in Latin America, including access to opioids and opportunities to develop programmes across sectors with government and NGO involvement, with a focus on primary health care. Noncommunicable diseases (NCDs) are the main cause of mortality and disability worldwide, including Latin America (LA) and the Caribbean. Sixty-three percent of the 57 million deaths that occurred in 2008 were due to NCDs, of which cancers comprised 48%. Palliative care (PC) aims to achieve the best quality of life for patients with advanced, progressive diseases and the relief of symptoms and suffering. The control of NCDs requires an integration of services, including prevention, early detection, diagnosis, treatment, rehabilitation and palliative care. There is considerable information available on prevention and curative services, but very little on the status of PC in LA. Between 2010 and 2012 the Asociacion Latinoamericana de Cuidados Paliativos (ALCP) developed an Atlas on Palliative Care to evaluate the status of PC in Latin America. The Atlas was developed by implementing a survey of 59 PC providers in 19 countries of the region. Results indicate that there are a total of 1.63 PC services per million inhabitants. Of these, 56% are provided in primary care levels (home care, community services and hospices) mostly clustered in eight countries. There is significant variation in development and service provision within the region, with > 50% of the services located within Chile and Argentina. LA accounted for 8.3% of the global consumption of opioids at 4.8mg/hab below the global mean of 5.9mg/capita. Collaboration among prescribers and drug regulators was reported as fair, ranging from very bad (Bolivia) to very good (Costa Rica). Very few countries have PC laws and national plans/programmes (three and seven respectively). Thirteen reported having PC as a component of national cancer control programmes. PC in Latin America needs to be developed further. Public policies and strategies need to be implemented to guarantee access to appropriate care for patients who no longer respond to curative treatments. Today, a child diagnosed with cancer in a developed country has an 80% chance of being cured. Unfortunately, this is not true for India where, of the 75,000 children with cancer every year, less than 20% survive. It is a challenge to implement appropriate strategies to take care of the growing trend in childhood cancer against a background of infectious diseases. MNJ Institute of Oncology, a tertiary care hospital for the state of Andhra Pradesh, India, registers around 400 new children with cancer each year. The paediatric palliative care programme was started in 2007 with the aim of improving the quality of life children with cancer and their families. To study the outcome of early integration of palliative care into a paediatric oncology programme. Every effort is made to keep a child completely pain free and to incorporate palliative care from the time of diagnosis. The programme offers supportive care during the active curative treatment phase, palliative care in the advanced stage of illness, end-of-life care, procedural pain relief, psychosocial support, home-based care and regular consultations over the telephone. The results of the active support and palliative care interventions in a paediatric oncology programme were analysed. ‰ Increased numbers of children were treated, from 69 patient visits in 2006 to 278 new and 3,126 follow-up visits in 2012. ‰ Supportive care and implementation of a procedural pain relief protocol during curative treatment and a smooth transition to palliative and end-of-life care. ‰ Reduction in treatment abandonment, thus improving prospects for survival. Early integration of palliative care into a paediatric oncology programme resulted in improvement in quality of life, smoother transition to palliative care and decreased treatment abandonment resulting in better survival prospects. Andhra Pradesh (AP) is an Indian state with a population of over 65 million. Despite the perception of a thriving economy, the reality is that 68.7% of Indians live on less than US$ 2 per day (World Bank, 2011). Established in the 1950s, MNJ Cancer Institute in AP is a 300-bed government-funded tertiary care hospital providing care to 10,000 adults and 1,000 children annually. Nearly 75% of these patients are in advanced stages at diagnosis and although India is a global exporter of morphine, 99.5% of Indian patients are not able to access this essential medication. Many barriers, such as governmental regulations, cultural beliefs, societal factors and lack of knowledge have contributed to unnecessary pain and suffering. In 2006, the first Pain Relief and Palliative Care Program (PRPCP), based on the WHO Foundation Measures for Implementing Cancer Pain Relief Programs was established and integrated within MNJ Cancer Institute’s existing infrastructure. This initiative was launched with the support of international and Indian NGOs and led by a visionary palliative care physician. As a result, pain medicines and palliative care became accessible to all patients at MNJ. Furthermore, in 2008, advocacy by the PRPCP led to government policy changes to include palliative care in the health insurance scheme for people living below the poverty line. More than 12,000 new patients have been seen by the PRPCP since its inception and it has become a focal point for specialized palliative care training for other Indian states and abroad. Recently the programme extended its reach and brought palliative care closer to home with the development of home care services and outreach to rural villages. The vision is that the PRPCP framework may serve as a model for other international settings. Currently, about three-quarters of all cancer-related deaths occur in low- and middle-income countries, and this trend is expected to continue. For the majority of these individuals, symptom management (e.g., pain treatment) is insufficient because diagnostic tools and treatment methods are either non-existent or difficult to obtain. Untreated or poorly-treated pain has devastating consequences on patients’ quality of life and functionality, particularly when the pain is severe or debilitating. Despite various treatment modalities, international health experts continue to regard potent opioids analgesics in the class of morphine, particularly orally-administered morphine, as the gold standard for treating moderate to severe cancer pain. Numerous international regulatory authorities have identified the presence of countries’ legislation, regulations, and administrative policies, adopted to minimize drug diversion and abuse, as impeding the availability and accessibility of morphine and other opioids medicines for legitimate medical purposes. To provide an evidence base for this issue, a systematic, criteria-based evaluation of government policies affecting pain management was developed and applied to a sample of four Latin American countries: Colombia, Guatemala, Mexico and Panama. The criteria are applicable to policies from any country. All national laws governing drug control, as well as laws governing medical and pharmacy practice, were evaluated. Results from research presented at this conference represent policy content with the potential to either positively or adversely influence pain treatment, palliative care and the use of opioids pain medicines. This research is designed to enhance awareness of countries’ current legal provisions and their implications for health practice and patient care, including the need to remove undue restrictions or legal ambiguities. Supporting policy improvement with such evidence can help create a legislative and regulatory environment free of barriers to medication availability for cancer pain management and palliative care. The incidence of cancer is increasing globally, particularly in low- and middle-income countries (LMICs). The millions of cancer patients who will be diagnosed every year for the foreseeable future need access to optimum treatment, wherever they live, to improve their chances of survival. New approaches to preventing and treating this disease are required. Fundamental challenges include: the limited availability of appropriate human, technical and physical resources; geographic restrictions; acceptable, affordable and compliable interventions; and societal awareness of the needs, challenges and opportunities for improved cancer control. Several innovative strategies for reducing the impact of cancer in LMICs include the development of guidelines and customized protocols, establishment of cancer programmes and national or regional referral centres, increasing access to cancer early detection, use of telemedicine and health insurance reforms. Increasing access to cancer care and control in LMICs is an equity imperative and expanding access requires a systems approach that includes priority-setting, price reduction, transparent information of prices and sources, quality assurance, cost-effective interventions, reinforcement of the role of cancer registries, engagement of national governments, community, civil society and private sector, and policies to address palliation, pain control and innovation. The Cancer Fast-track Program’s aim is to reduce the time that elapses between well-founded suspicion of breast, colorectal and lung cancer and the start of initial treatment in Catalonia, Spain. We aimed to analyse its implementation and overall effectiveness. A quantitative analysis of the programme was carried out using data generated by the hospitals on the basis of seven fast-track monitoring indicators for the period 2006–2012. Also a qualitative study, based on 83 semi-structured interviews, was conducted with primary and specialized health professionals and health administrators to obtain their perception of the programme’s implementation. In 2012, about half of all new patients with breast, lung or colorectal cancer were diagnosed via fast-track, though the cancer detection rate declined across the period. Mean time from detection of suspected cancer in primary care to the start of initial treatment was 27.5 days for breast, 30.5 for colorectal and 32.9 for lung cancer (2012). Professionals associated with the implementation of the programme showed that general practitioners faced with suspicion of cancer had changed their conduct with the aim of preventing delays. Furthermore, hospitals were found to have pursued three specific implementation strategies (top-down, consensus-based and participatory) which made for cohesion and sustainability of the circuits. The programme has contributed to speeding up diagnostic assessment and treatment of patients with suspicion of cancer, and to clarifying the patient pathway between primary and specialized care. Brazil has a population of 197 million of people (IBGE Census, 2010). As in other countries, cancer is a public health problem, being responsible for 17% of known deaths and the second cause of death in Brazil. The estimates of new cancer cases are about 0.5 million per year (INCA, 2012), including non-melanoma cancer. There are 277 cancer centres (124 with radiotherapy treatment) providing public services for the population. These centres comprise public and private (philanthropic) providers and represent approximately 60% of the total capacity available for cancer treatment in Brazil. 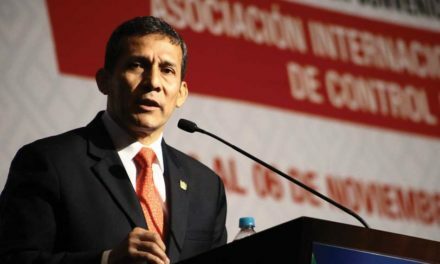 In 2011, the National Institute of Cancer (INCA), a governmental arm of Ministry of Health, studied deficiencies of public services for cancer treatment, including coverage of public radiotherapy services and quantity, localization and obsolescence of radiotherapy equipment. These studies were used to identify the necessity for new facilities and linear accelerators (Linacs) and the necessity for replacement of obsolescent equipment (Linac and Cobalt). The studies defined a deficit of 94 new Linacs by 2015 and a total deficit of 286 Linacs through 2023. Based on this scenario, the Ministry of Health, supported by INCA, launched an ambitious public plan for investment, forecasting the implementation of 80 new radiotherapy units in oncology centres, improving radiotherapy centres whenever possible and creating new radiotherapy services in other oncology centres. This analysis also takes into account the need of specialized human resources in the area. This plan includes an investment of more than R$ 500 million (approx. US$ 250 million), including the construction of new facilities, brachytherapy and radiotherapy equipment, including technology transfer to Brazil by 2015. Patients are referred from nine regions and two administrative cities of the country. Significant numbers are transferred from the main hospitals of different regions. Some patients also come from neighboring countries such as Djibouti and Somalia. The numbers of patients increases exponentially by 14% per year. Referred and transferred patients do not have the opportunity to get treatment as soon as they arrive. They are evaluated by centre physicians; with work up and treatment decision by oncologists. Delays of weeks, even months, arise because of long waiting lists for each step to get treatment. In addition, after delays to get chemotherapy, delays of three months for radiation therapy may be expected. Limited resources, few oncologists with different responsibilities and high clinical service demands, limited accessibility to specialists, shortage of trained staff nurses, inadequate space for in- and out-patient management and limited accessibility, affordability and availability of cytotoxic drugs are serious challenges to the timely delivery of appropriate chemotherapy and cancer treatments. ‰ Consoling patients for long delays in their expectation for treatment. ‰ Limited, trained manpower capacity to satisfy treatment needs. ‰ A frustrating/distressing workplace, particularly for nurses (e.g., communicating badly while calling patients for possible chemotherapy or radiation treatment). ‰ The introduction of a special room for day care with 10 beds for chemotherapy and blood transfusion. ‰ A new isolation room for chemotherapy preparation. ‰ An additional examination room established. ‰ An increased number of physicians and nurses employed. ‰ Coordination of utilization and scheduling of radiation units. ‰ Addition of a new practice-training radiographer. Influencing change in cancer control can be effectively achieved through the efforts of mobilized communities. Networks, coalitions, and communities of practice are useful vehicles to increase awareness, provide education and training, offer support and guidance, and enact leadership for improving access to treatment and care for cancer patients and their families. However, it takes intentional effort to mobilize a community and to have its efforts directed effectively. The health care system itself is complex; but effective change requires efforts beyond those of the health care sector. Political commitment and the efforts of sectors such as education and public policy are necessary. ‰ Explore how to leverage the opportunities of collaboration to build supportive networks; strengthen advocacy efforts and reinforce efforts on education, training, mentorship and leadership. ‰ Discuss who the leaders are and how to equip them for tomorrow’s health care. Collaboration is working with another person or group in order to achieve or do something. Through collaborative efforts, expertise and resources can be leveraged to achieve desired outcomes beyond what one organization can achieve working alone. Leaders working within and through collaborative efforts in this complex environment must be skilled in facilitative leadership and transformational change. The abstracts selected for presentation during this workshop illustrate models of collaboration and describe strategies used to mobilize efforts in cancer education of health care providers and support for patients. Abstract 1: Impact assessment of the Early Diagnosis Programme: Does building capacity of primary health care workers have an impact on referrals for suspected paediatric cancer? In Brazil, the time between symptoms and diagnosis (lag time) for paediatric cancer is long and many patients are referred to treatment with advanced disease. NGO Instituto Ronald McDonald (IRM) developed the Early Diagnosis Programme (EDP) to build capacity of primary health care workers and improve patient care flow from primary care to treatment hospitals. Since 2008, the programme has been operational in 86 cities in 12 Brazilian states, providing training for 14,553 health professionals. To evaluate the adequacy and impact of the EDP. A longitudinal retrospective multicentre study, involving nine referral hospitals, based upon a comparison before and after the 2010 intervention, stratified by regions which had or had not received the EDP. Adequacy indicators were used in the capacity-building training and availability of EDP materials; impact indicators were the number of children referred for suspected cancer and the lag time. Data were collected from medical records, interviews (with nurses and patient families) and the EDP database. Of the physicians and nurses registered in the programme in 2010 (n=621), 80% achieved the expected attendance rate (75%) and 54% reported use of EDP material in their practice. A total of 1,797 medical records were analysed. A before and after comparative assessment showed a 23% rise in the number of children referred. The median lag time fell by 61% in the regions operating the EDP (from 13 to five weeks). The programme was carried out as anticipated, and the targets were achieved. The impact can be inferred from the increased number of referrals for suspected paediatric cancer and the reduced lag time. No other factors that could explain this result were identified. Alianza GIST (AG), a coalition of advocates from 14 Latin American (LA) countries, was formed in 2009 to improve the survival of people living with a rare cancer called GIST (Gastrointestinal Stromal Tumour), through scientific research, information, education and advocacy. As with many rare diseases, GIST is often misdiagnosed (AG has seen up to 20% misdiagnosed cases). One of the main goals of AG is to focus on educating the medical community about timely and proper diagnosis. AG has partnered with its member Fundacion GIST Mexico, the Life Raft Group (an international GIST advocacy organization) and the Instituto Tecnologico de Monterrey (a prestigious academic institution), using an intersectoral approach to change physician behaviour. Launched at ASCO 2011, the first GIST online CME course was introduced to LA physicians in conjunction with the first LA GIST Joint Tumor Board, in which a thoughtful discussion took place on how to resolve issues of misdiagnosis reaching regional and global dimensions. The GIST online course has also been presented to medical students, interns, and physicians who see GIST patients across LA, to teach them basic knowledge about the diagnosis, treatment and management of GIST. AG representatives have promoted the course to the medical community in each of their countries with good reception. This joint collaboration is an important start to closing the information gap in the medical community and increasing the index of suspicion among those that see GIST patients. It establishes a precedent for an integrative, interdisciplinary approach to solve an uncommon population health problem. In Peru, adequate measures to control and prevent cancer are necessary, not only by preventing exposure to risk factors, but also by the acquisition of a healthy lifestyle and provision of integrated support for patients with a diagnosis of cancer. Efforts were focused on breast cancer patients who often present emotional and social challenges. One-to-one peer survivor counselling to provide hope and optimism through emotional support and guidance through treatment is essential for optimal care. The Breast Cancer Club is a group of volunteer breast cancer survivors who provide peer support based upon their own cancer experiences. This programme has improved the resilience and ability to cope with cancer. Since 2006 volunteers (survivors) provide counselling through use of personal experience, skills, and behaviours that enhance effective support. Outreach and screening methods targeting specific breast cancer groups have been developed, increasing the number of patients receiving culturally-appropriate awareness and support. The benefits to providers include improved participation, more effective engagement for better compliance with treatment and increased patient satisfaction. Models such the INEN Breast Cancer Club Programme provide a very useful health practice in developing countries. The inclusion of volunteers in the Breast Cancer Club requires more work and understanding to ensure sustainability within leadership and management. Initial experience demonstrates that the implementation of such programmes in a major cancer centre is feasible, acceptable and beneficial for increasing survival and quality of life for persons with cancer. Current strategies to control cancer are demonstrably deficient. In India the death toll from cancer, one of the world’s leading causes of death, has risen by almost 40% since 1990 and will continue to do so (1,15). New directions are necessary. Health systems can affect cancer outcomes through prevention, early detection, effective treatment and palliation enabled by universal health coverage, innovation, safe high-quality care and informed social policy. Prevention will always be preferable to care in diseases with high morbidity and mortality, but preventable cancers are not being presented. Patients suffer and die needlessly from cancers that are boasted equitable and curable and new curative therapies have limited accessibility, applicability and affordability. If complemented by effective early detection and treatment, primary prevention is a highly effective approach to cancer control; however, the benefits take time to manifest and need sustained leadership and vision from policy-makers. Individualized approaches to control incidents are less likely and less cost-effective than the sociopolitical actions through policy, legislation and regulation, and do not require renewal with each generation (6,9,10,11,19). Population-based registries for collection, management and analysis of cancer data are of fundamental importance to all countries. Synthesized data contributes to effective, efficient and sustainable cancer systems, allowing “all of society” to participate by building a clear picture of need, capacity and effectiveness of interventions (3,11, Session 3: ICCC–5). Expanding cancer control within the context of universal health insurance, using priority disease-specific interventions to drive improvements in health systems, can expand coverage and improve access across diseases and populations. Integrated strategies that cross disease-specific and system-wide constraints (e.g., tobacco control and NCDs); physical activity and healthy nutrition; empowering women through better knowledge about breast cancer; and strengthened health systems to support better access to pain control overcome the limitations of “vertical” or “horizontal” initiatives (9,10,14). Brazil, Colombia, Costa Rica, Cuba, Dominican Republic, Mexico, Panama and Peru have included cancer care and control in their national insurance programmes. Universal health care “Seguro Popular” (Mexico) offers universal health care coverage, covering treatment for cancer in children, breast and several other cancers (2,9) with early indications of increased participation and decreased abandonment of treatment (8). Increased access to primary care with well-designed and affordable disease control programmes offers opportunities to enhance cancer control. Upgrading the role of communities, ensuring continuity of care across general and specialized environments, integrating primary and specialized care, evidence-based guidelines and care paths and innovative approaches to access to therapies is all particularly important for LMICs. For several cancers, life can be extended with fairly low-cost systemic therapy and palliation for pain relief is an essential human right for which the barriers of substance control and prejudice of policy-makers are unacceptable (7-13). A global call to action for cancer in LMICs is beginning to emerge. Partnerships between governments, NGOs, transnational agencies, medical institutions, private sector, health professionals and the patients and public working through evidence-informed policies and best practices from all jurisdictions will be required to achieve the necessary level of response for the global cancer challenge. 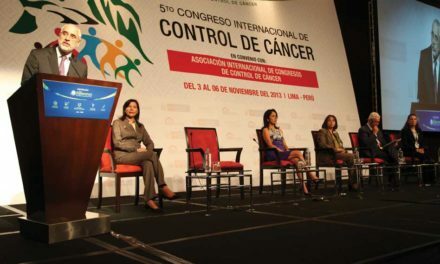 This manuscript is a synthesis of plenary presentations, workshop discussions, including selected abstract presentations, and recommendations for ongoing actions derived from Session 4 of the Fifth International Cancer Control Congress (ICCC–5) held in Lima, Peru, 3–6 November 2013. 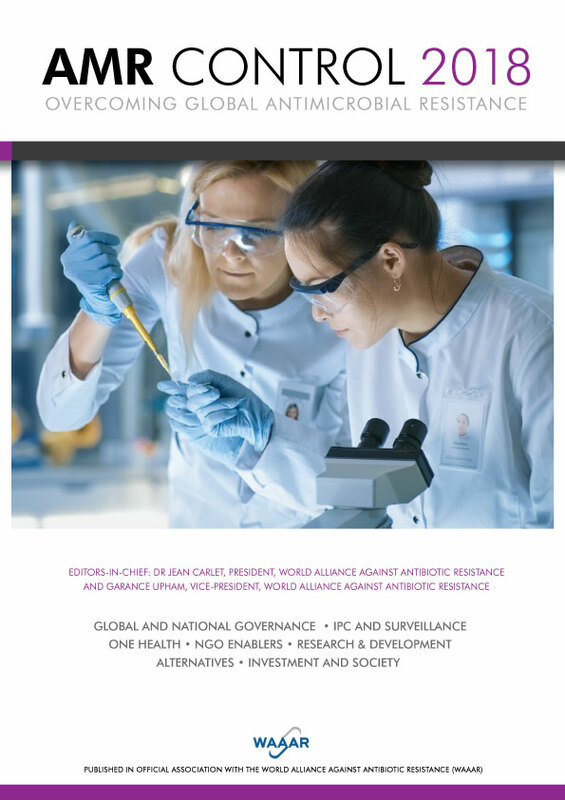 The ICCC–5 working group was made up of Simon B Sutcliffe, Kavita Sarwal and Catherine G Sutcliffe from the International Cancer Control Association, Tatiana Vidaurre Rojas and Roxana Regalado from the National Cancer Institute (INEN) in Peru. The opinions expressed herein represent those of the authors alone and do not necessarily represent the institutions and organizations by which they are employed.